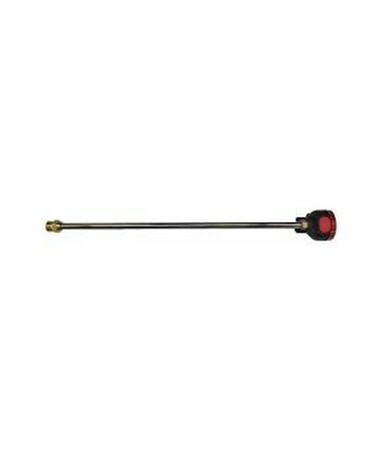 The Multi-Function Spray Lance for Generac 3100PSI Pressure Washer (Qty. 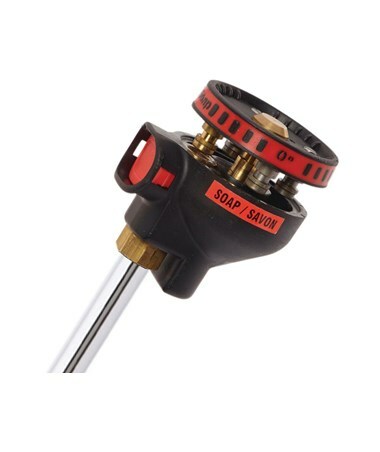 4) is a consumer-grade replacement spray lance that works with pressure washers that are rated up to 3,100 PSI. 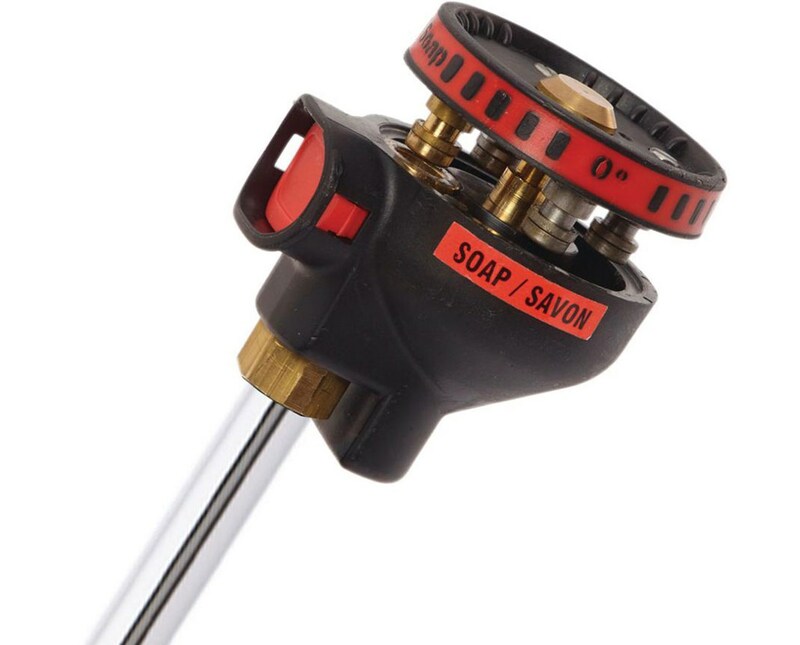 Equipped with a fan spray outflow, this multi-tip spray lance features four tips that allow cleaning professionals to change the nozzle spray pattern - 0°, 15°, 40°, 65° and soap applicator for optimum cleaning performance. It comes with a 22M threaded male that fits many M22 spray guns in many power washer brands. Constructed with durable steel and brass material, this Generac multi-function spray lance also weighs five pounds and measures 7.5” L x 25.5” W x 5” H. Plus, it is sold in four per pack.